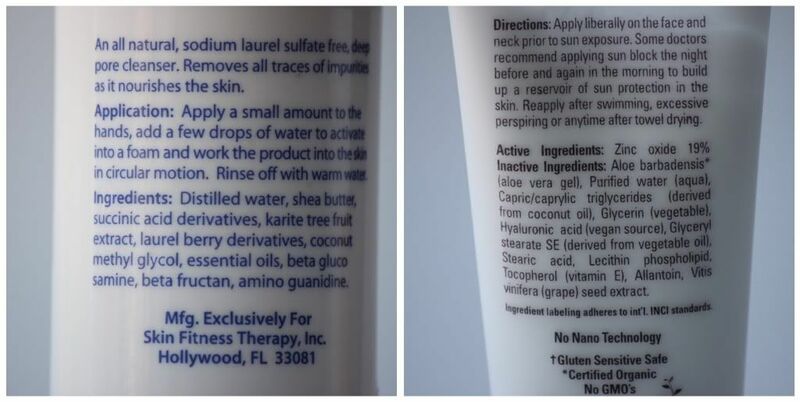 Reading ingredients on the back of a skincare label is something most people just don't do. Its one of those things where you may turn the bottle over, take a little peak and wonder what the heck Phenoxyethanol is and move on... never thinking twice. Today I am going to share the top three most common ingredients found in skincare products that should be avoided and why. Parabens- a commonly used preservative. They mimic estrogen and even have an impact on your hormone levels. EEEEK! Recent studies have related parabens to breast cancer. NOT good at all. So now when you see a product that is labeled "Paraben Free" you know why. Sodium Laureth Sulfate- This is the ingredient that causes your cleanser to be extra bubblicious. It is a MAJOR skin irritant that can make your skin dry and itchy. It has also been associated with eczema. I always ask new clients who have irritated and over sensitized skin what kind of cleanser they use. Most of the time the cleanser they name contains this...and I let them know it's time to switch! Synthetic Fragrance- The face wash that smells like "Morning Burst" is most likely full of synthetic chemicals. Synthetic fragrance can irritate your skin and cause major breakouts. When a product says, "Fragrance Added" and does not list what it is, this almost always means that it's synthetic. Fragrance added from essential oils are good, synthetic fragrances are bad..capiche? I am not saying throw out everything you own... but just be more aware. Start by making small changes. Next time you go skin care shopping take a few moments to peek at the back label and look for these ingredients. I love your skin care tips cause I really don't take care of mine. When I turned 25 I was given a luscious package of cremes and gels from South Africa that I knew I was not going to be able to afford again but I used it and loved it. I actually get SO irritated from Sulphates!! I can't even use them in hair products or my head becomes unbearably itchy! I switched to all sulphate and paraben free products 2 years ago and my hair and skin are incredible now. Wow thanks Lindsay. Will definitely be on the lookout. Your tips are the best! ummm terrifying! Going home and reading labels TONIGHT! Its so scary! yay another skin tip! I just wrote these things down and am going to check all of my stuff! I also never really knew why parabens were bad, so thanks for sharing!! yes, I read labels all the time. These three things spells poison. I love going to iherb.com to find natural or organic products. The prices are amazing! Wow thanks for sharing this...I had no idea...I'm going to start reading my labels now! Um, every night when The Dad and I retire to the couch, the first thing I do is yank up my pant legs and throw my legs across his lap. Scraaaatch me pleeeeeease. Then in bed, it's my arms. Pleeeease scratch my arms!!!! Can you scratch my back, pleeeeease?! (his eye-rolling doesn't help matters) I have the itchiest skin ever in history - but the weird part is, it never really looks all that dry. It's been REALLY bad the last couple months. I'm checkin' my body wash label ASAP. WOW, great info. I knew parabens were BAD but didn't really know WHY. Thanks for informing us all! i bought a cheaper shampoo thinking i was going to be good and save money... but it ended up drying my scalp it contains sodium laureth sulfate!!! i will spurlge on my shampoo again!! thanks now i am gonna check my face products! great post with very useful info. thanks for sharing. I have sensitive skin and I am actually having severe reactions to almost all shampoos and facial cleansers or creams. Thanks for any tips you might have. Ali- The skin care line called Boscia is wonderful for sensitive skin AND it is free of parabens, sulfates, synthetic fragrances and dyes. Their cleansing oil and cleansing gel are great! Yes pregnancy can bring up all sorts of fun things.. Here is the link to the product line I mentioned. You can buy it from Sephora. Oh my gosh!!! That is actually kind of scary what they put into our skincare products! I am SO glad you have this weekly post to share with us! I will definitely be on the lookout for these three terms. I definitely don't need any more hormones or skin irritants! you really have great advice about skin care. thanks for all these posts. i've bookmarked so many! Lara- HI friend!!!! OH MY gosh congrats!! I am totally out of the loop since I no longer have a FB account. Yes Yes I would love to give you some tips! I know I already gave you my secret stretch mark prevention recipe ;) But e-mail me and I would love to help! My e-mail is under my about me. So excited for you! Wow, thanks for this! I'll definitely be reading labels from now on. I had no idea that ingredients in skin care could impact hormone levels eeek! Lindsay - these tips are so helpful! I try to be aware of this stuff - esp for the kiddos - but I admit I love my bubbly shampoo. Any idea if Aveda uses that stuff? these are such great tips! thanks so much for all this information. i didn't know most of this. i'll try to be more careful about what i buy! thanks for your skin care tips :] so helpful! -- i knew that there are products that aren't good for your skin, but i wasn't sure which ones. this was wonderful! Your posts are always so helpful! I love it. And this one is particularly well-timed as I am moving my stuff into storage for awhile and today's task is deciding which of my way-too-many beautification products (face wash, scrubs, sunscreen) etc to keep or get rid of. So far, I've only had the expiration date to base my judgement on but I need to unload a lot more than that. I'll be printing this out for reference, thanks again! such GREAT advice! I had no idea how bad sulfates were until I came down with the Perioral Dermatitis. It's hard to believe, but SLS is actually in most toothpastes too! I love that you are blogging this info - it's so helpful for people. ps - the emu oil seems to be helping a bit. I have to barely tap the area with it though or I break out from excess oil! Great advice! I had heard about SLS before, but I hadn't thought much about the added fragrances and parabens. Wow, thanks for explaing what always looks "greek" to me on the back of my toiletries! It's amazing the amount of harmful stuff we put in our bodies everyday. So what is your advice for the best acne helping face wash without any of these ingredients? i am almost 60 years old now and just started dating again but i am shy about the way my face looks...my skin is starting to sag and i have been getting brown spots that were never there before...is there any help or will my face just keep on going south?? A nice post for the readers. The blog is informative and useful for the people to benefit from. it is also important to read the ingredients in your sunscreen! a lot of lotions have ingredients that, when combined with sunlight, are cancerous! Hi --This is the first time I've seen & read your blogs. One word--FANTASTIC!! I have a 12 yo g/daughter who is starting to have acne. She also has, itchy scalp & has been using TGel. I will advise the Tea Tree Oil & pray the ONLY food store in the next town has these products. I have a male friend, who has a TERRIBLE case of redness over his entire face & chest some areas, (hairline & mustache) have dry scaly patches. He says its allergy. He looks like his has a bad case of sunburn. I gave him a bar of Dove for sensitive skin to see if that would help some. He does have a VERY EXPENSIVE prescription tube of ointment. He is unable to seek med. advice due to unemployment. He is also a very heavy beer drinker. Can this play a part??? Any & all advice would be greatly appreciated. Thank You sooo much. Keep up the good work.